My embroideries were well received at the UK's inaugural gathering for childless women in Solihull on the 29th-30th October 2016. Due to my mum's illness and subsequent death in May I was unable to partake of this residency. I'm very excited to share that in June 2017 I'll be artist in residence at The Mothership, Dorset. The residency provides an opportunity for contemporary artists working in any media to work on a project of their choosing. The live/work studio is in an Area of Outstanding Natural Beauty, located on the edge of an ancient woodland. My idea involves landscape, personal history and song. During my residency I'll walk the woodland and explore the village, building a heartfelt relationship with the location. I'm keen to work with a local person who can read music, to learn folk songs collected from village residents during the last century. Songs and tunes collected from the village are kept in the Vaughan Williams Memorial Library in Cecil Sharp House, London. As well as the song, the singers and music makers names are recorded, can I find these people in the graveyard? Do their decedents live in the village? Does anyone recognise the tunes I'll bring back? Could the village residents teach me songs passed down through their families? I intend to sing these songs to the ancient woodland, the graves, sharing my findings with the wider community. I wonder at the sparks this could ignite. Dot Dot Dot - my workshop at the De La Warr Pavilion on the 24th October. Working alongside a group of charming & inventive children who shared thoughtful responses & created beautiful sculpture. "I've learnt about making 3D shapes"
"I've learnt how to make a sphere"
STEAM Powered Big Draw weekend at the De La Warr Pavilion in Bexhill-on-Sea! During the weekend of the 22nd/23rd October we welcomed 270 participants of all ages into the studio & invited them to explore science, technology, engineering, art & maths. 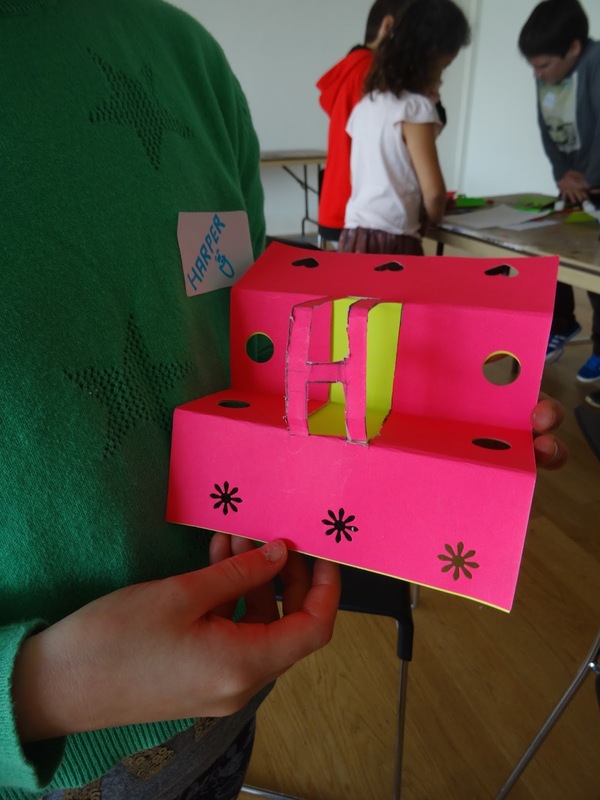 There were happy faces as inspired folk made & drew in seriously inventive ways. Yesterday I ran a session for teachers/creative practitioners at the Hastings Museum & Art Gallery during the Hastings & Rother Arts Education Network meeting. 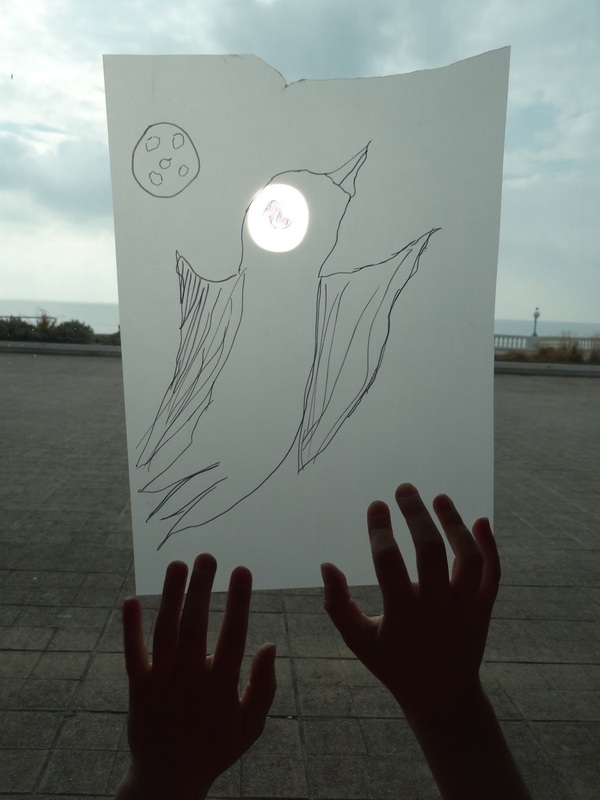 I'm working for the amazing De La Warr Pavilion in Bexhill, creating activities for the STEAM Powered Big Draw Festival (Science, Technology, Engineering, Art & Maths). 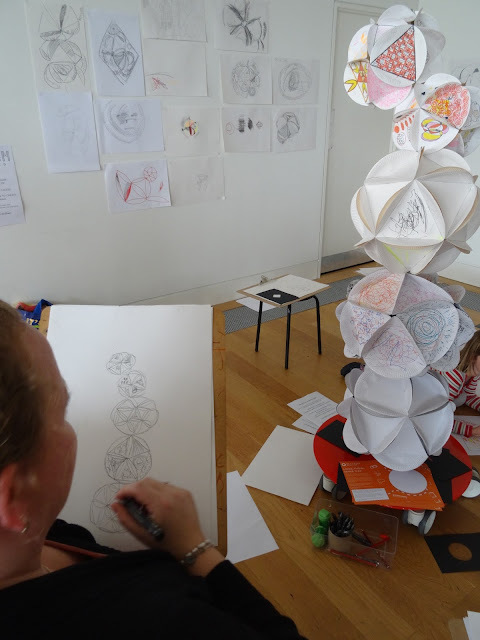 We are offering a twilight CPD session for teachers on the 3rd October, 4pm-6pm, covering classroom activities, curriculum links & teachers notes using STEAM & Fiona Banner's Buoys Boys exhibition as stimulus. 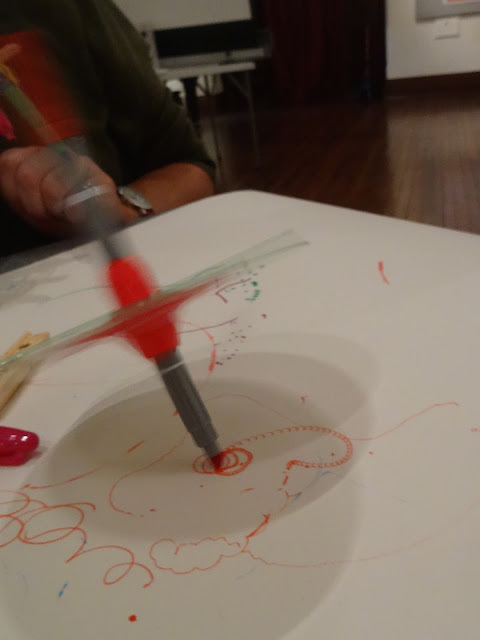 Join us for the STEAM Powered Big Draw Festival drop-in, running Saturday 22nd & Sunday 23rd October from 12 noon - 4pm. Lets go on a shape hunt! 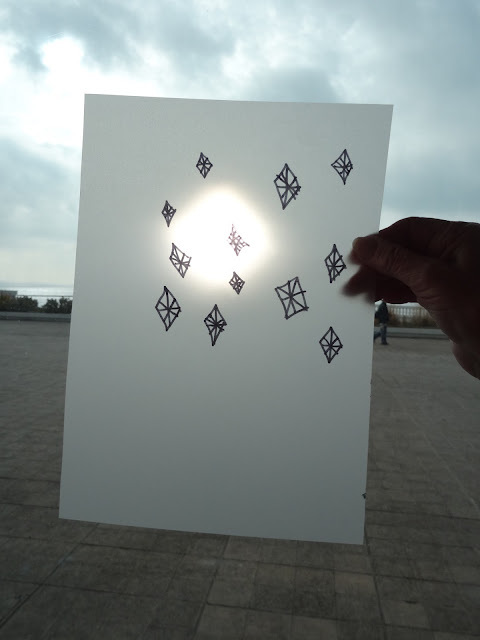 One minute to create a drawing machine - GO! Submitted these paintings for the 2016 Open at The Old Station Gallery in Rowsley and they were accepted. 27 artists are exhibiting from the 24th September to 26th October. I've been stitching for months! In June I posted about the second embroidery in the series of four, feeling that the butterfly fabric had made the piece too cheerful. This feeling persisted while working on the third embroidery and when finished I restitched the second onto a plain handkerchief and was happy with the result. Landscape, family history and slow textile process meet within Karen’s practice. Showing at the We Are Many Conference is a new body of work, hand sewn handkerchiefs that belonged to her Auntie Jessie, some stained with use, all lovingly washed and ironed. The woodlands depicted are far from suburbia in parts of Derbyshire much walked by the artist, unpeopled sites with clear and hidden pathways, places between places where girls in red cloaks could encounter the wolf. For Karen these stitched drawings depict a particular solitude, a particular grief: grief for an imagined family. Alone and unsure of the path how do we move forward? What awaits beyond the woodlands edge? Can we see the wood for the trees? Karen takes her place alongside women who walk solo, who claim the rocky path, the quiet woods as theirs. Striding forward with reserves of inner strength, resourcefulness, sensitivity and intelligence while baring witness to the beauty in self and beyond. Karen lives in London and has an MA from Goldsmiths College, The University of London. Within her practice she is drawn to deepening meaning and value to overlooked textiles and textile processes, usually within forlorn sites: the graveyard, the underpass, the suburban woodland. This workshop provided an opportunity to explore the forest site in considering ritual, consciousness and voicing intention. 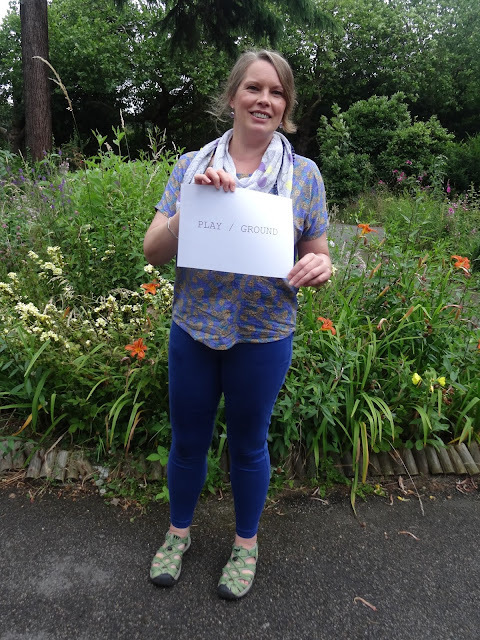 Participants were invited to hunker down, breathe in the space, to listen, to tune in/tune out and quietly ask, What do I need more of in my life? Using materials found onsite objects were assembled to represent desires and our ritual was completed by writing intentions on rice paper which was buried or placed meaningfully within the holly grove. Rice paper, made of potato starch and water would dissolve in the coming days, our written/drawn intentions melting into the forest floor. Our actions retained as memories accompanying us beyond the woods and into everyday life, I wonder if thoughts have returned to the forest site since, mine have. The Leytonstone Arts Trail 2016 focused mine and Siobhan Davies collaboration, both of us testing ideas and playfully pushing boundaries. 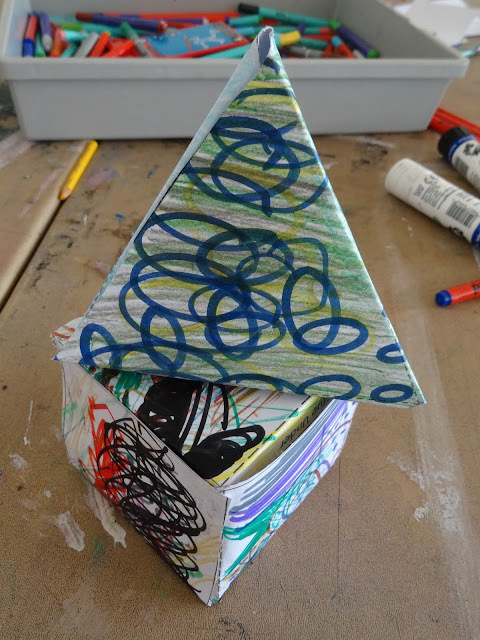 PLAY / GROUND is an ongoing invitation for others to invent happenings and adventures in E11. My final half term at Drew Primary School was spent with the y5 pupils, so I ended my year as I began, in their classrooms. The city of London inspired our art exploration and Drew's young Londoners studied the iconic Tube map, considered our connections to the rest of the world from London City Airport (situated next to the school) and used memories and experiences to add depth to their work. We drew, painted, mark made, cut, collaged, looked, listened, learned tricks, short cuts and creative techniques, rising to the challenge of each activity. My two years at Drew Primary have been full of learning, I've enjoyed working with the whole school and it's been a privilege to open the doorway into art/thinking/expressing/connecting with these precious children, the future creators of our city, our world. Thanks for having me!